It’s mid-August and summer is fully upon us now in Central Japan. It is really hot and humid with no relief in sight! We recently posted 10 Tips to Survive Summer in Japan. Now continuing on with our summer theme is our latest article about Summer Foods in Japan. Food is a big indicator of the season in Japan and changes depending on the time of year. Summer offers a variety of unique seasonal dishes that are intended to provide you with stamina and raise your energy levels (to withstand the summer heat) as well as cool you down. Hiyashi Chuka is a popular summer dish that consists of chilled ramen noodles topped with cold ingredients and a special sauce. Restaurants in Japan only serve it during the summer months but it is pretty easy to make at home yourself. You can also find it at Supermarkets and Convenience Stores across Japan. 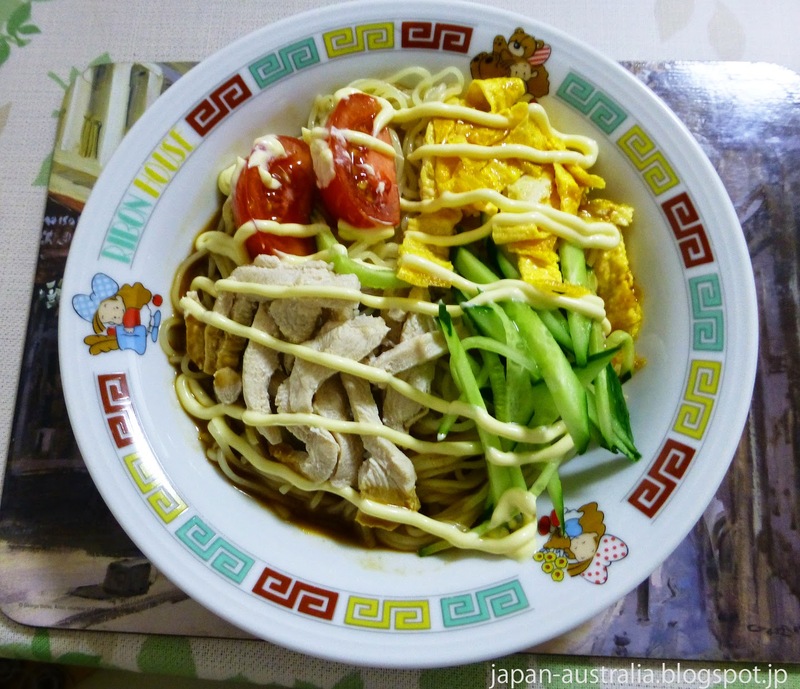 Popular toppings include tamagoyaki (cooked egg), boiled chicken, ham, cucumber, bean sprouts and tomatoes. The sauce is made from a combination of water, rice vinegar, soy sauce, sugar and sesame oil. It is a delicious dish that actually does help cool you down. Unagi or Japanese freshwater eel is another popular summer food in Japan that has been eaten since the early Edo Period. A popular way to eat Unagi during summer is in a dish called Kabayaki. The eel is put on metal skewers and grilled over charcoal while being dipped and basted in a thick sweet soy sauce. It is usually served on a bed of rice like a don-buri. Unagi is believed to help withstand the hot and humid days of the Japanese summer, and is packed with both Vitamin E and A as well as protein. There is even a special day in mid-summer called “Unagi Day” in Japan for enjoying this wonderful summer stamina dish. Japanese curry or just kare (カレー) as it is called here is one of the most popular dishes in Japan. 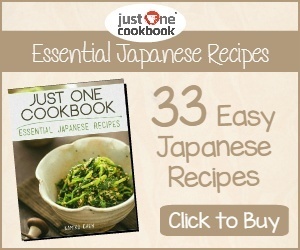 Curry was originally introduced to Japan during the Meiji Era by the British. It can be eaten all year round and is a lot sweeter than your traditional Indian Curry. In summer, it is enjoyed with a lot of seasonal summer vegetables such as eggplant, tomato and peppers. Goya or bitten melon as it is called in English is another popular summer food in Japan. It is the key ingredient in a famous Okinawan summer dish called Goya Champuru, which is a healthy stir-fry dish made with pork or spam, tofu, thinly sliced goya and scrambled eggs. Goya is a summer stamina food and provides you with healthy doses of Vitamin A and C as well as antioxidants. Hiyayakko is a chilled tofu dish that is a great summer appetizer or side dish. The chilled tofu is topped with sliced scallions, daikon radish, yuzu rind, sliced myoga ginger and mustard. Hiyayakko is perfect in summer as tofu is packed with B Vitamins which stimulate your metabolism and help provide you with energy to withstand the heat. Kakigori or shaved ice is a summer favourite in Japan and can be enjoyed anytime of the day to cool down. Kakigori consists of shaved ice that is topped with a flavoured syrup and sweetened with condensed milk. Some of our favourites include Ichigo Milk (Strawberry Milk), Blue Hawaii (Soda) and Matcha (Green Tea) with Anko (Sweet Azuki Beans). A lot of cafes and restaurants will serve Kakigori in the summer and you can always find it at one of the many summer festivals. Kakigori might not be as healthy or nutritious as the other summer food listed above, but on a hot summer day in Japan nothing beats it. 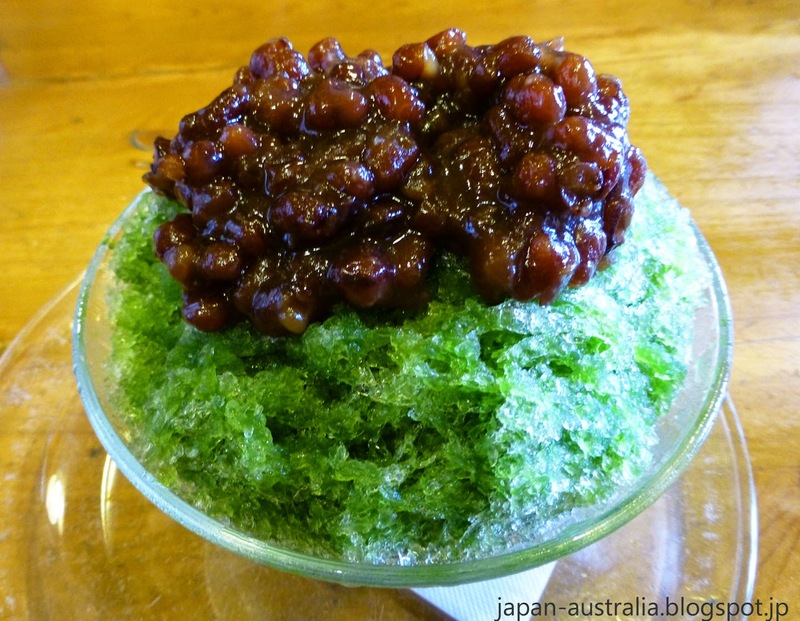 What is your favourite Japanese summer food? Please share with us in the comments below. Yum! Definitely unagi and kakigori for me. Unagi gives you the energy to get through the heat, and kakigori is just so refreshing. Thanks Ali! Both are great in the summer. I just had an amazing Kakigori at Oharaimachi near the Naiku of Ise Jingu in Mie Prefecture. One of the best I've had in Japan with real strawberry sauce as a topping!